Houston Rockets All-Star point guard Chris Paul will take the stage in L.A. to host the Nickelodeon Kids’ Choice Sports Awards this week. The show will air Friday, July 20, at 8 p.m. ET (5 p.m. PT). Paul promises “fun, slime, and epic stunts” during the fifth annual show, and there’s a chance he may get to pass an orange blimp to himself. Paul is nominated for two of the awards: King of Swag for the best-dressed and most stylin’ off the court, and Nothing but Net, honoring the most accurate scorers in sports. As a contender for Nothing but Net, he’ll need to hold off soccer player Alex Morgan and hockey players Patrick Kane and Patrik Laine, not to mention a slew of NBA colleagues, including Rockets teammate James Harden. When asked who wins Nothing but Net in a head-to-head challenge with Harden, Paul is confident. “I should beat him,” Paul said. “I’m better! It’s not a step-back category.” (Harden is well known for his step-back threes.) Paul’s ribbing of Harden was all in good fun, though. 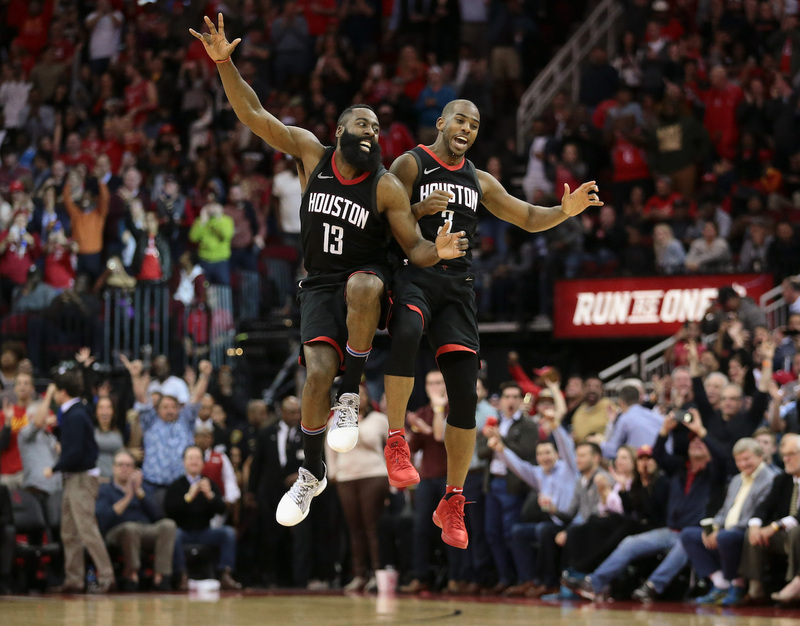 “The best thing about being a Houston Rocket is the camaraderie we have on the team,” Paul said. Tune in this Friday to see Paul host the slime-filled and star-packed Nickelodeon Kids Choice Sports Awards.